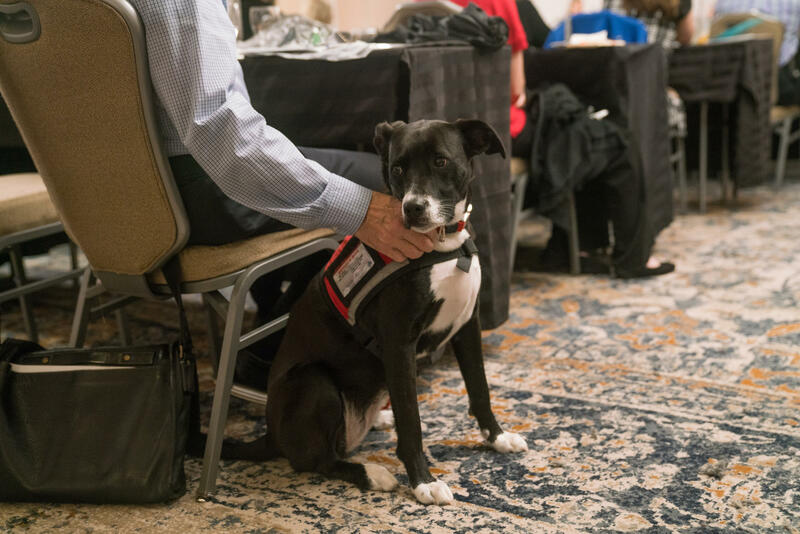 Brenda J. Faulkner, co-founder of The Truman Foundation, sits with her dog Truman at the Association of Service Dog Providers for Military Veterans annual conference in Tyson's Corner, Va.
Brett Simon, president and co-founder of K9s for Warriors organization, stands with his dog Lincoln at the Association of Service Dog Providers for Military Veterans annual conference in Tyson's Corner, Va. 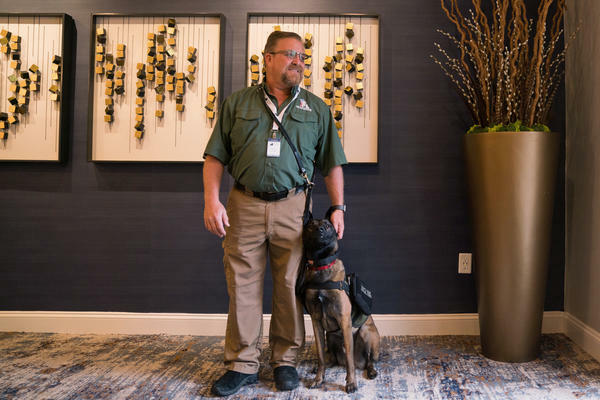 The nonprofit bills itself as the largest provider of psychiatric service dogs for veterans. Retired Army Sgt. Kevin Crowell sits with Bella, his psychiatric service dog. (Left) Brenda J. Faulkner, an Army veteran and co-founder of The Truman Foundation, sits with her service dog Truman. (Right) His vest includes patches identifying him as a PTSD and disabled veteran service dog. 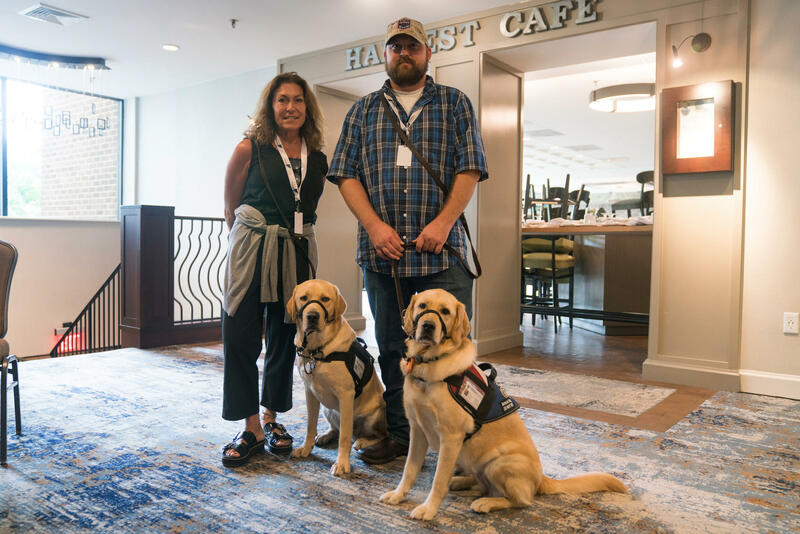 Gina Esoldi stands with her service dog Ricky along with Kyle Santiago with his dog Kassi. Both work with Next Step Service Dogs. 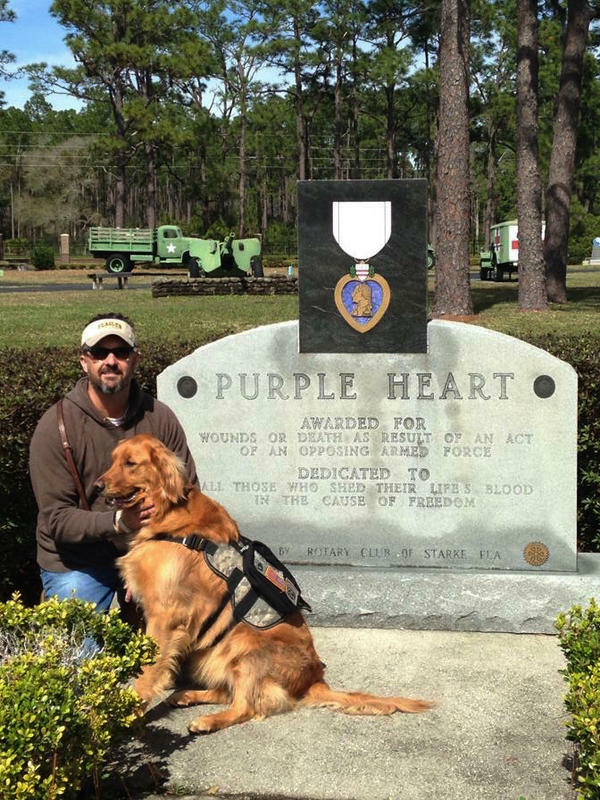 Navy veteran Thomas Gregg sits with his service dog, Gauge, at the conference. 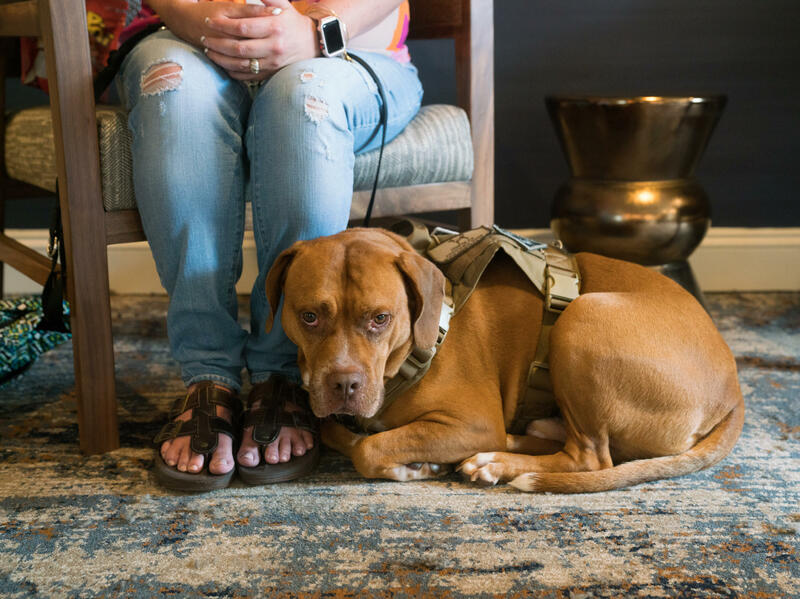 Dixie is a PTSD support dog. Registry programs for service dogs hope to expand to all members of the service dog community. 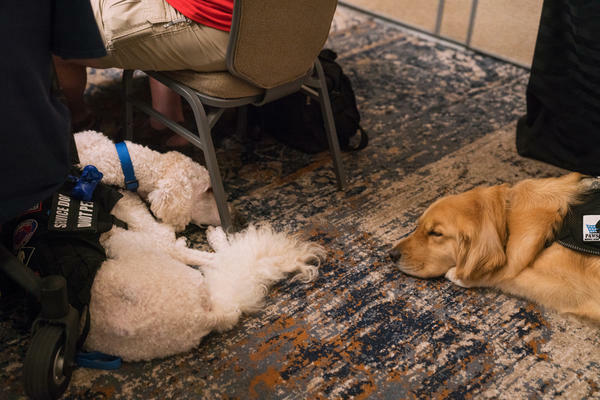 Service dogs rest during a panel discussion at the Association of Service Dog Providers for Military Veterans annual conference. 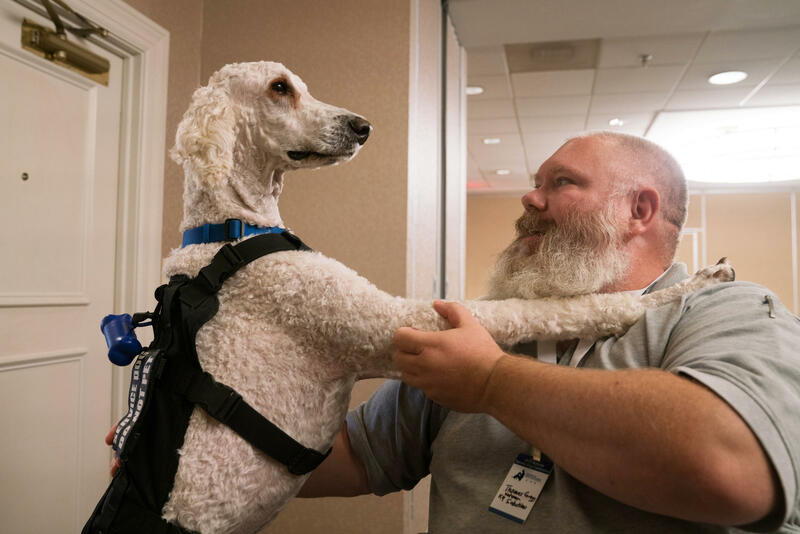 American Airlines notes that in the last three years, three times as many emotional support animals boarded its aircraft — birds, sloths, kangaroos and pigs among them — than service animals, according to a comment filed by the carrier with the DOT.